Australia 2018 Winx - Racehorse - Mint Never Hinged (MNH). You will be back for more! 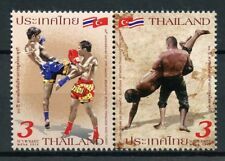 (Thailand 2018 Joint Issue (JIS) Turkey - Mint Never Hinged (MNH). Set of 2 values (2v Set): 3 Baht x 2. You will be back for more! 3) Select each item and 'Add to Basket'. Good condition sheet of Guernsey. It is the 1998, Cambridge Rules for Football sheet. Large collection of Thematics! Worldwide (including USA, Australia, etc):£1.50 only. Good condition set of Guernsey. Condition: Mint Never Hinged. No Exclusions. Date of issue: 06 July 1982. From Repoblikan'i Madagisakara, 2018. Mint, never hinged World Cup History stamp sheetlet. :- The item you receive may not be the item scanned, but will be of similar quality. Year of issue: 1972. No Exclusions. Glauben Sie, dass der Preis ist nicht richtig?. :- The item you receive may not be the item scanned, but will be of similar quality. Condition: Mint Never Hinged. No Exclusions. Stanley Gibbons No. : MS1410a. Scott No. : 1165. Condition: Mint Never Hinged. No Exclusions. 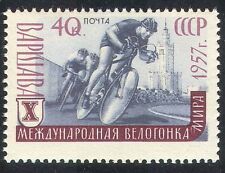 Date of issue: 16 September 1963. (Chad 2002 Golf Champions - Mint Never Hinged (MNH). Sheetlet with 9 values (9v M/S): 450F x 9. 3) Select each item and 'Add to Basket'. You will be back for more! (Sheetlet with 5 values (5v M/S): 5.00 x 5. 3) Select each item and 'Add to Basket'. Stanley Gibbons No. : MS268. Scott No. : 260a#. No Exclusions. Date of issue: 01 May 1980. No Exclusions. -:- The item you receive may not be the item scanned, but will be of similar quality. Condition: Mint Never Hinged. Date of issue: 15 July 1970. Condition: Mint Never Hinged. No Exclusions. Year of issue: 1986. Good condition set of Cambodia. Stanley Gibbons No. 1437/41. This is a complete set of 10 values of San Marino's 1962 "Mountaineering" issue. Nice thematic! 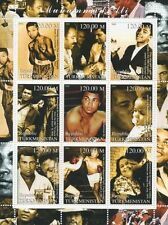 (Antigua & Barbuda 2018 Muhammad Ali - Mint Never Hinged (MNH). 3) Select each item and 'Add to Basket'. 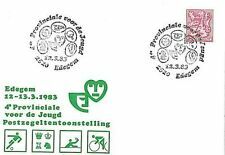 USA WORLD CUP 94 ST VINCENT & GRENADINES FOOTBALL STAMPS MNH 23 STAMPS.